With Fresno State University just across the street, Bulldog Village Apartments is the best value in student housing around campus. Our efficient floor plans provide plenty of living and storage space; ideal for a relaxing evening or entertaining friends. Each apartment comes fully appointed; including all major appliances, cable television and wireless internet, central heat and air conditioning. Each unit is attractively furnished creating a casual comfortable living space that allows you to forget the hassles of moving. Just bring your personal belongings and accessories to make your apartment a home. 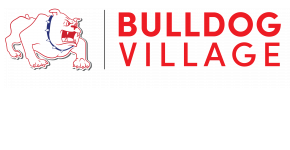 Bulldog Village offers great amenities, large floor plans with over sized bedrooms, a great management team and convenient location. Bulldog Village is a great overall value in off-campus housing and a great choice for your home away from home.